For those of you who have visited Tweaking4All more often, you might have noticed that I really like Lazarus Pascal. I use it to develop little freeware applications for multiple platforms (if possible), like for Windows, MacOS X and Linux. 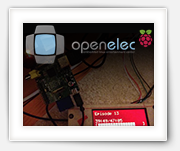 So why not on a Raspberry Pi (Raspbian)? Lazarus allows Rapid Application Development in the good old Delphi style which would be ideal for a platform like the Raspberry Pi. Specially since the Raspberry Pi 2 Model B seems to be fast enough as well. Now me and my brother-in-law (Jean-Pierre) are planning to build an Alarm system based on a Raspberry Pi 2, use a TouchScreen and plenty of sensor. Lazarus Pascal could be ideal for this purpose. To my disappointment, it took me a lot of time to get Lazarus to run on my new Raspberry Pi 2 Model B … so that’s why I wrote this article, which is basically a compilation of a lot of steps that I found scattered all over the Internet. The Raspberry Pi is one fun little computer perfectly capable of emulation Classic Computers like the Commodore 64, ZX-81, ZX-Spectrum, Apple ][, Atari ST and even DOS/Windows 3.1. 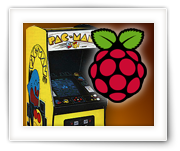 Emulation on the Raspberry Pi however is not limited to classic computers. Emulation of Classic Game Consoles like the Atari 2600, SEGA Genesis, Super Nintendo, Nintendo Entertainment System (or: NES) and Gameboy handheld work great as well. My favorite in this however remains the emulation of classic Arcade Games with MAME. Unfortunately, I did not find an emulator for one of my childhood consoles, the Magnavox Odyssey² (a.k.a. Philips VideoPac G7000). In this article an introduction to CHAMELEONPI, an awesome distribution by Carles Oriol, which can be downloaded for free. It offers all of these emulators, with a beautiful interface and an easy way to upload ROMs and applications for the Classic Computers, Game Consoles, and Arcade Emulator (MAME). After writing the article on “How to get an Operating System on a SD-Card“, I realized that the existing methods and tools were not to my liking. Of course the existing tools are most certainly not bad and work just fine. I just didn’t like how they worked. 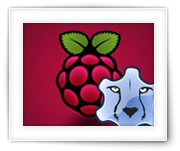 This application is for MacOS X only and allows you to prepare an SD-Card for use with Raspberry Pi’s NOOBS, and it allows you to “flash” and IMG file to an SD-Card. 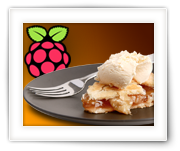 ApplePi-Baker can now also be found on AlternativeTo.net and eLinux.org. Note : This application is also very suitable for creating or restoring an IMG backup of USB drives! When I first started working with the Raspberry Pi just after the first model A was released, my first issue was: How to get an Operating System on an SD-Card? I mean: you just purchased a Raspberry Pi – you want to see it in action right away right? 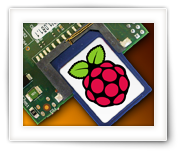 After figuring that out, others have asked me the same question on how to create a SD-Cards for the Raspberry Pi. So here a guide on how to get it done in a few simple steps for Windows, MacOS X and Linux. The Raspberry Pi, for those unaware, is a $35 computer, equipped with all you need (network, USB, etc), capable of running an Operating Systems like Linux, RiscOS, etc. and can even run XBMC (OpenElec for example) out of the box producing 1080p video through HDMI. When I started my first experiments with electronics, solderless breadboards, in Europe anyway, were not very common or at least not cheap. Instead me and my dad wired everything together (the good old times!). We either used air to old everything together for the simpler designs, or we used an Open Hole Board PCB (a.k.a. Prototype PCB) for the more complex designs. Breadboards allow us to make our initial prototype much easier and much cleaner, and when I started dabbling with MicroControllers (BASICStamp) it became obvious that creating prototypes with Breadboards was the best way to go – even if it’s just to be able to handle the more expensive components more careful. 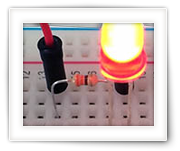 In this article a brief into to Solderless Breadboards. You might be familiar with XBMC, one of the best Media Center like systems/applications out there. You also might know about the $35 computer called Raspberry Pi, and that some folks managed to got XBMC to run on this little guy; RaspBMC and my favorite: OpenELEC. Well, in this article I’ll show you how I got an LCD display (Hitachi HD44780 based) combined with LCD2USB for use with the Raspberry Pi running OpenELEC XBMC. RaspBMC user might find this article useful as well. If you want to use a HD44780 based display without LCD2USB then you might want to read this post that uses the GPIO port directly. The lcdproc manual pages show more details on how to configure lcdproc to use the HD44780. Note: These instructions should be very similar for other OpenELEC systems (Generic, ATV, Fusion, ION, etc).